Inspired by the art of 18th c. painter Francisco Goya, Goyescas is perhaps the greatest work of Enrique Granados. 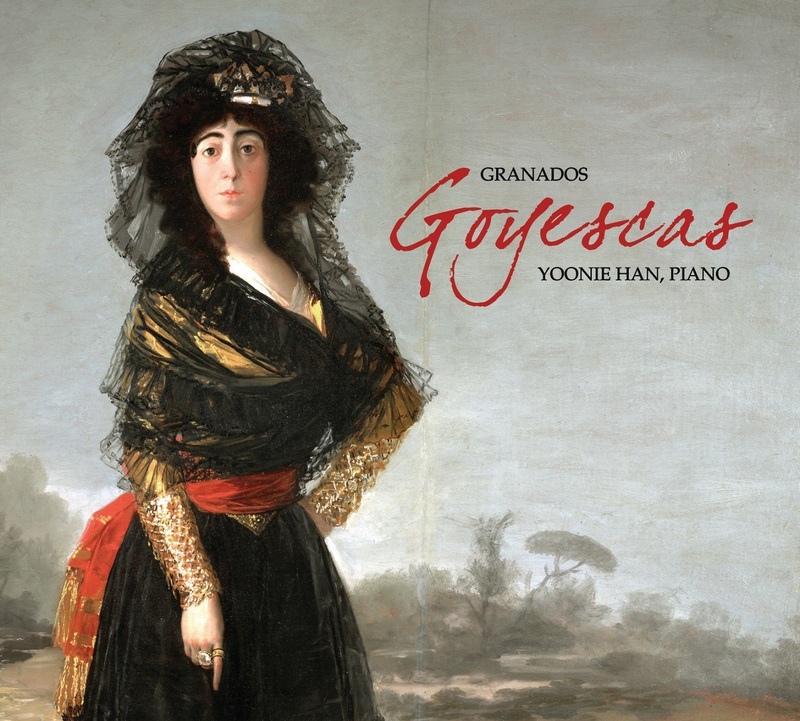 Yoonie Han, a specialist in this repertoire, is a brilliant advocate for this evocative Suite that captures the art and musical styles of Spain. The Goyescas of Enrique Granados, inspired by the spirit but apparently not by specific instances of the art of Francisco Goya, are common repertory works, but really satisfying performances of them are surprisingly rare. They require an elusive trio combination of delicate, almost Couperinesque ornamentation, introspective spirit, and raw power. Korean pianist Yoonie Han delivers in all three realms. She sketches the program of the music in her own notes, telling "a Read more tragic tale of doomed lovers," and her playing, with every detail of the score fluently clear yet with a spontaneously improvisatory quality that would be called cinematic if that were not anachronistic. Sample the fourth Goyesca, Quejas, o la maja y el ruiseñor, which among other things carries a foreshadowing of the popular song Bésame mucho. The Steinway label, which seems to have a knack for this kind of fortuitous meeting of pianist and repertoire, delivers fine engineering in New York's Steinway Hall, and there are some interesting speculations on how the mood of the work derives from Spain's final fall from international prominence at the hands of rising America at the end of the 19th century. But ultimately, the beauties of this release are of the old-fashioned kind, generated by a meeting of technical mastery and deep understanding. Period: Romantic Written: 1911 Spain Length: 55 Minutes 11 Secs.